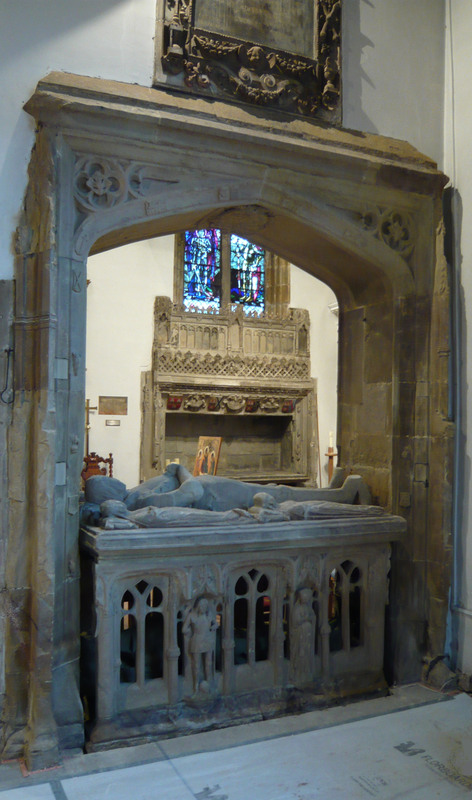 It was such a pleasure to have the opportunity to work on this rare open tomb chest to Sir Henry Willoughby dating from 1528, which is constructed of sandstone, with a stone cadaver in the cavity beneath the effigy slab, and is decorated with polychromy and gilding. Following a condition survey and environmental assessment, it was clear that interventive measures were required to prevent severe and ongoing deterioration. The project involved careful dismantling of the monument to expose the foundation and to lay a damp-proof membrane, necessary to prevent further deterioration of the stone through moisture and associated salt activity, prior to relaying of the foundations. 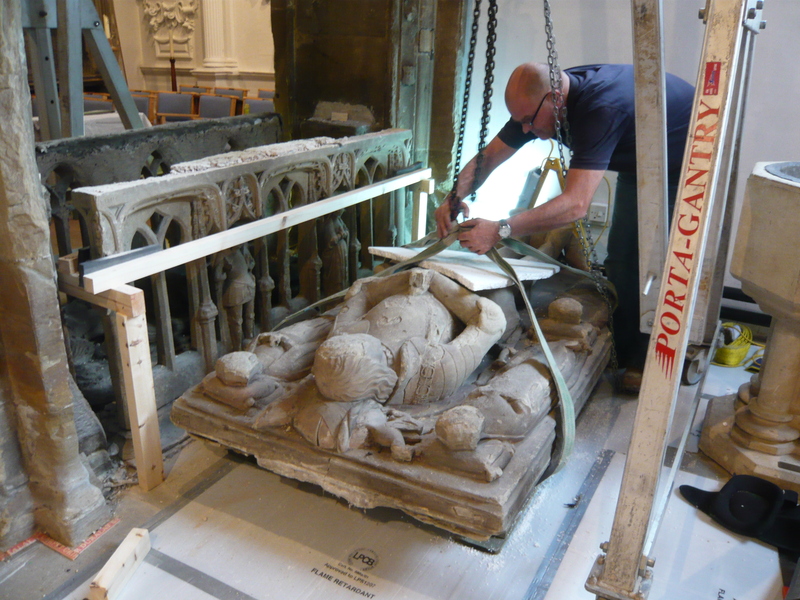 Conservation treatments included: cleaning of the monument, desalination; arch and inscription plaque; consolidation of the stone and polychromy; re-building of the monument; pinning of the stone; lime mortar repairs; and filling and retouching of minor losses to the polychromed marble surround. A final treatment report provided recommendations of future preventive measures required to preserve the tomb, and routine inspection to monitor its condition.